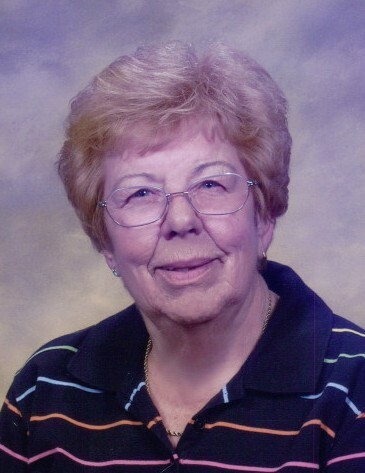 Mary Lee Dugger, 91, passed away on April 5, 2019 in Carlsbad, New Mexico. She was born to Charles Lee and Emma Ruth (Howard) White on November 27, 1927 in Carlsbad, New Mexico. Mary was raised in the family business in White’s City, New Mexico. She loved living there and as a child roamed the canyons in the area. She attended Radford School for Girls in El Paso, Texas where she made many good friends. While at Radford, she was in numerous clubs and was the editor of the school yearbook. She also took flying lessons and became a pilot. She attended the University of New Mexico, where she studied business. It was at UNM where she met Eddie Dugger. They were married in White’s City on October 21, 1949. They both worked and made their home in White’s City where they raised their three sons. Mary loved to travel. Whether by car, train, plane, or ship, she thoroughly enjoyed seeing the world. Preceding her in death were her husband, Ray Edmond Dugger Jr., son, Bob White Dugger, brothers Jack Howard White Sr., and Bob Gardner White. She is survived by her sons Tom Dugger (Sheryl), Charles Dugger (Nancy), Grandchildren Jason Dugger (Marlene), Taylor Dugger (Kris Mullins), Erin Hicks (Kyle), Vicki Cirbo (Justin), Chip Dugger, Amber Dugger (Carl Marquis), Michael Dugger (Judy Scheinhaus), and three great-grandchildren. There's still time to send flowers to the Memorial Service at the First Presbyterian Church at 10:00 AM on May 4, 2019.